Georgia Golf : Enjoy a relaxing round of golf in the piney woods. 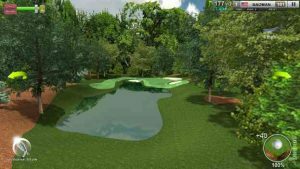 Georgia Golf is an immersive 3D golfing game with simple controls, set on 18 holes in the lush woods of the Southeast United States. Take stock of the hole with intuitive camera controls. Choose your club and take aim for your next masterful stroke. Aiming is done with two panning buttons for your thumbs on either side of your device’s screen. Power of the shot comes from a simple meter that is held down longer for higher power shots. Georgia Golf has an accurate physics simulation that controls the ball around the course and through the wind just as a ball in real life would. Even the Reynolds pocket is modelled as the only way to accurately simulate those big drives that the pros do. There are 18 holes to play, each one a separate challenge of its own. Watch out for that water hazard on the 15th, and enjoy the scenic beauty of the 12th. There are 2 difficulty modes. In the easy mode, a graphic is overlaid on the screen for you showing the likely path of the ball through the course. In expert mode, you must rely on your intuition with distances to the hole and how far your club will take the ball at maximum power on your current lie. Enjoy the advanced feature of contacting the ball a little lower or higher than normal for extra bite on your iron shots. To win the game and get your secret code, achieve the result of Major Champion on expert mode! THIS IS THE BEST GOLF GAME IVE EVER PLAYED IN MY LIFE! 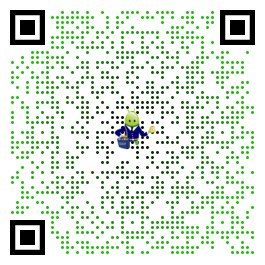 I WROTE A LETTER TO MY LAWYER AND MY MOM AND TOLD THEM I MUST BE BURIED WITH GEORGIA GOLF INSTALLED ON A PHONE AND IN MY HANDS!! !